Missouri. 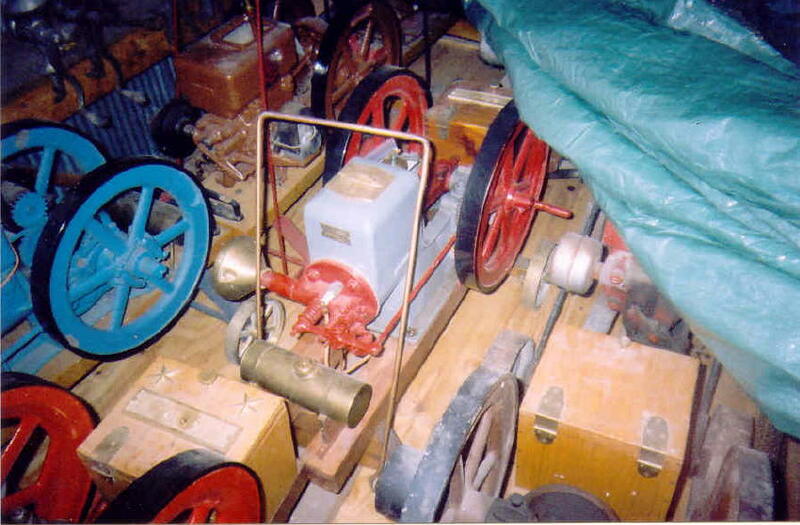 I then learned of his old engine parts casting business. but is appears that he is well connected to casting parts. None of my engines are for sale! I collect for myself. I looked for 6 to 8 years before getting my first GRAY. 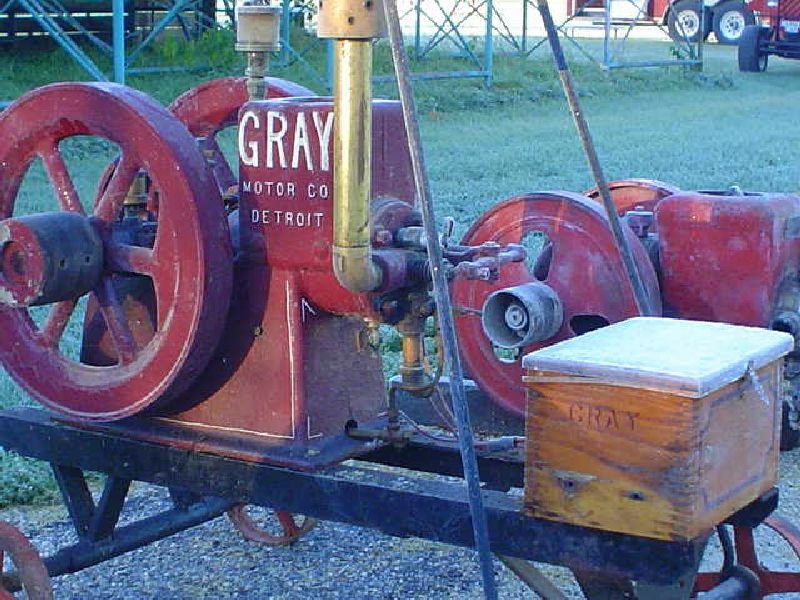 I got tired of red and green engines, so painted my GRAYs, "Grey". I cast from brass. The gas tank I made from brass.... I like brass! plaques, hopper covers, etc. Trucks are homemade by me. All my castings are brass..... at least they don't break like cast iron. cast them in brass.... painted, you can't tell them from iron. Enclosed is a list of items we cast. would be happy to send you a list if you give him a call. the engine alphabet - in a bunch of horse power sizes! Sattley, Witte, Waterloo, Universal cone and ball types. Price ranges from $15.00 to $35.00. 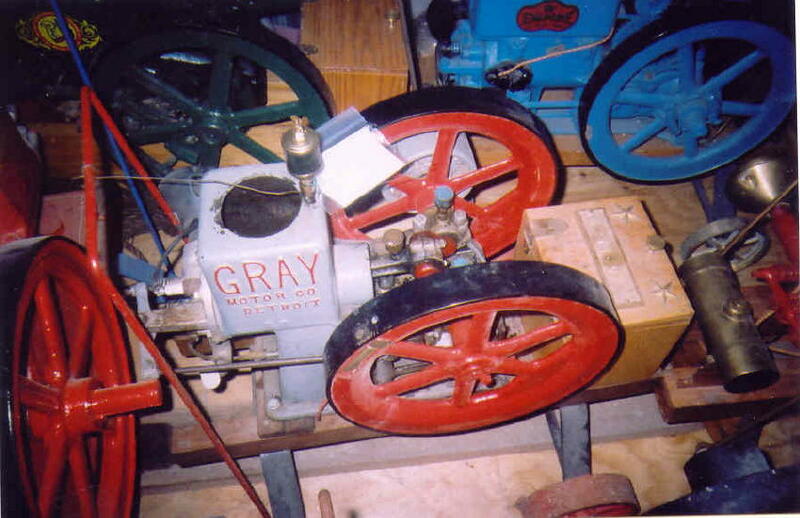 GRAY 1hp, 1 1/2 hp & 1 3/4hp mufflers, $25.00 ea. babbit bearings, choke plates, and wheels in several sizes. 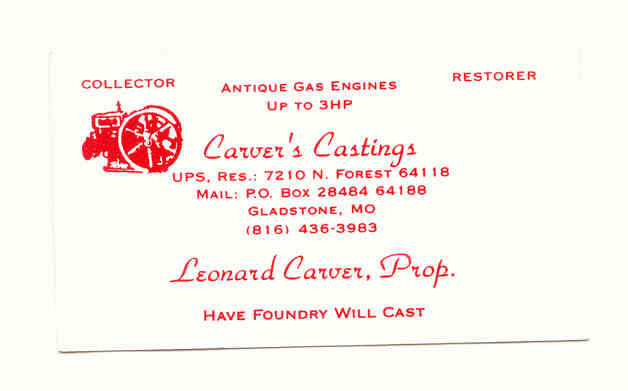 Carver's Castings also cast plaques for engines, 2" x 7 1/2", with 5/8" letters. Any name up to 10 letters long. Nice Low tension coils available at $25.00 each. can cast parts from your patterns in brass, or aluminum only.